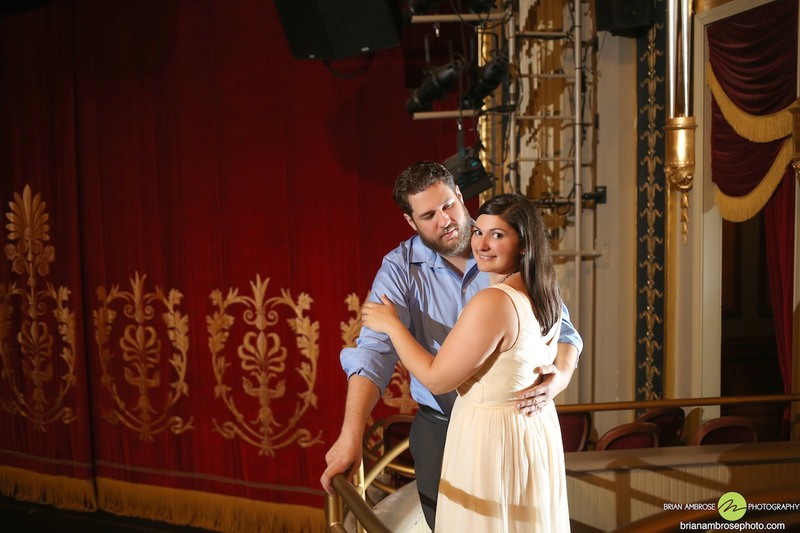 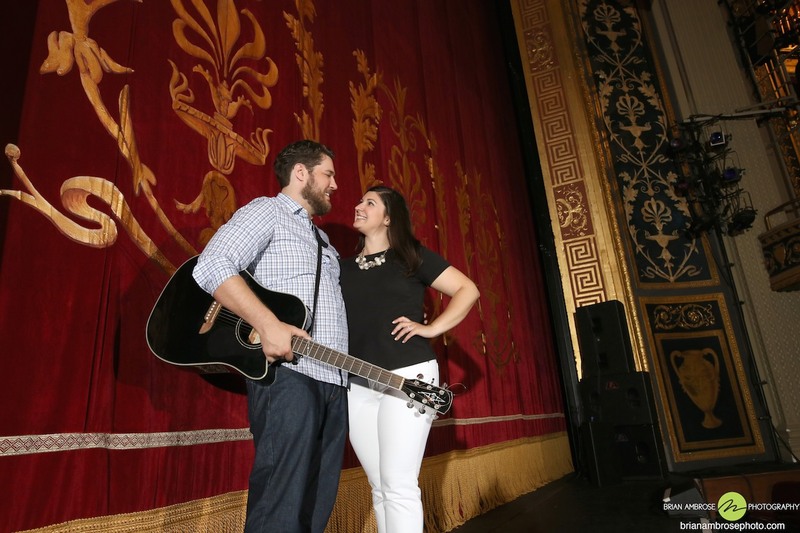 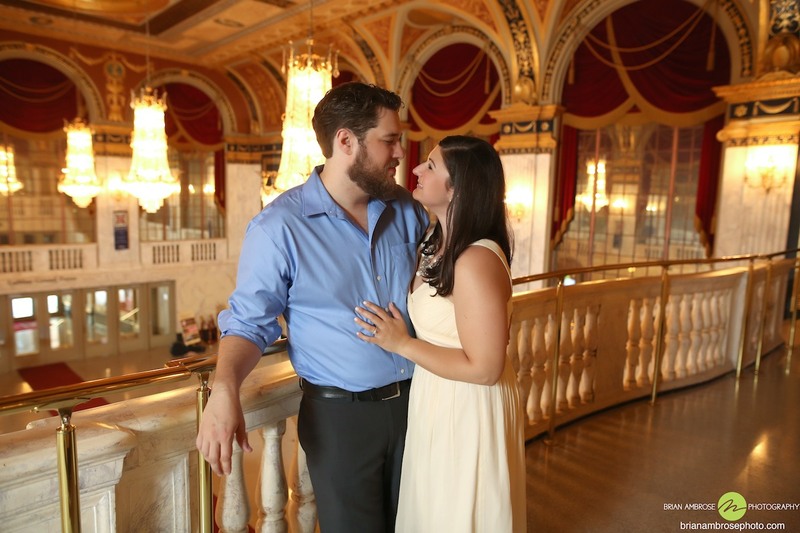 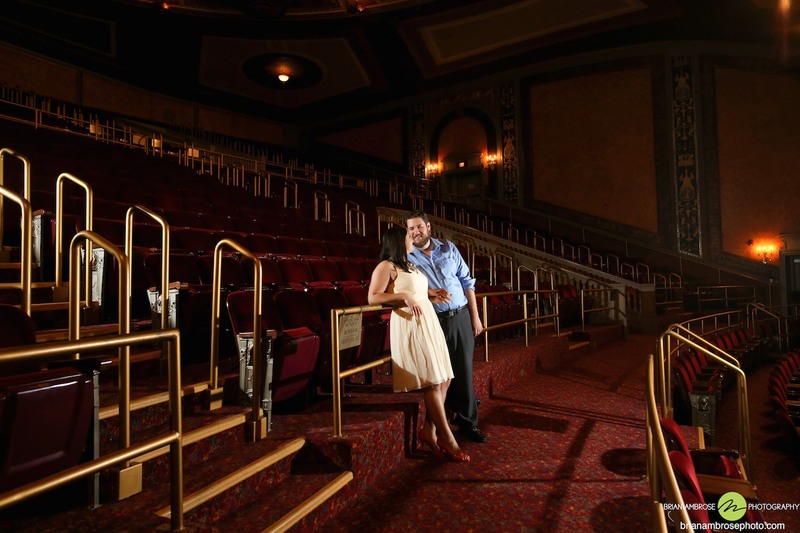 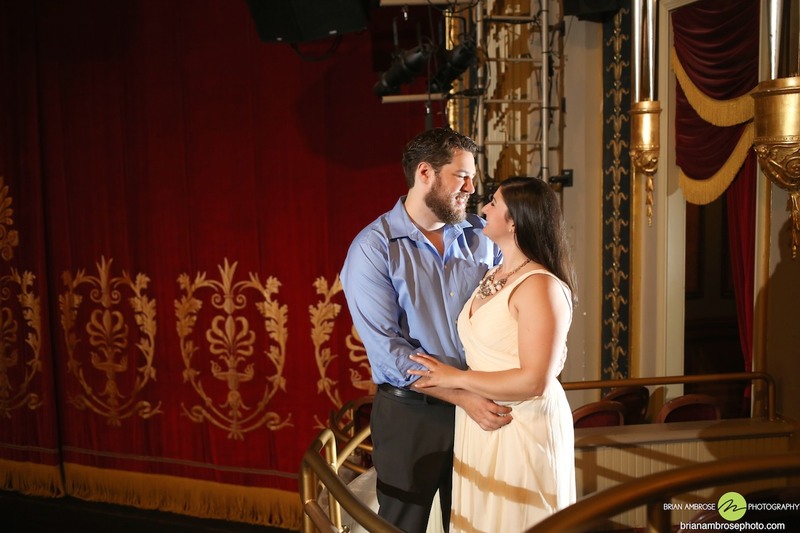 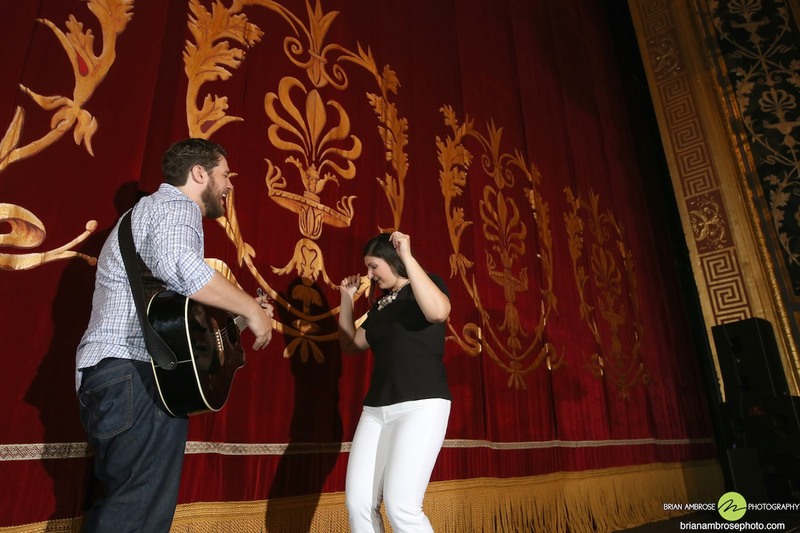 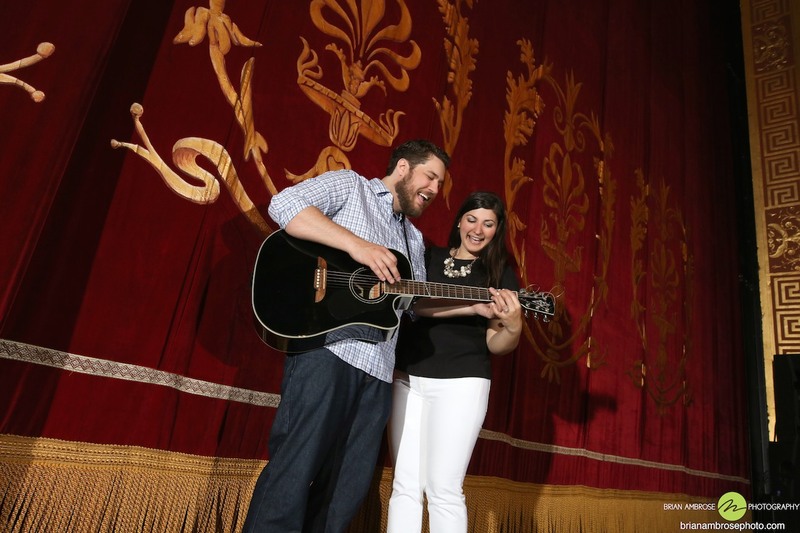 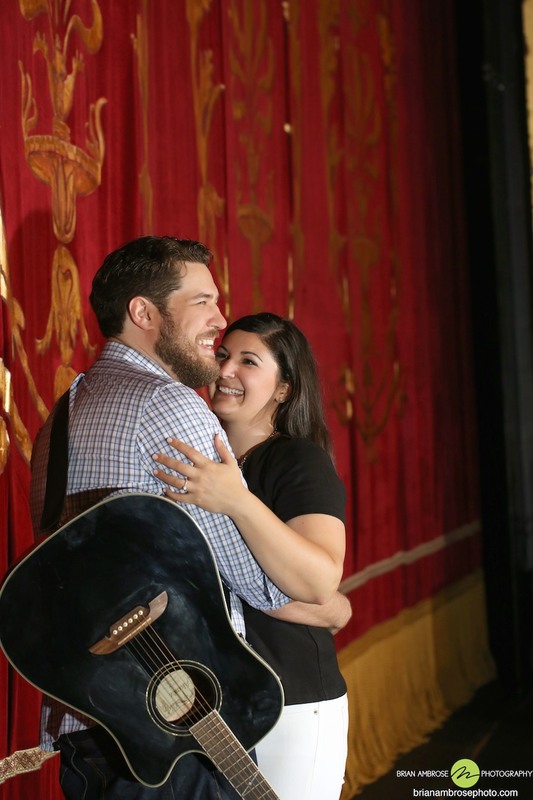 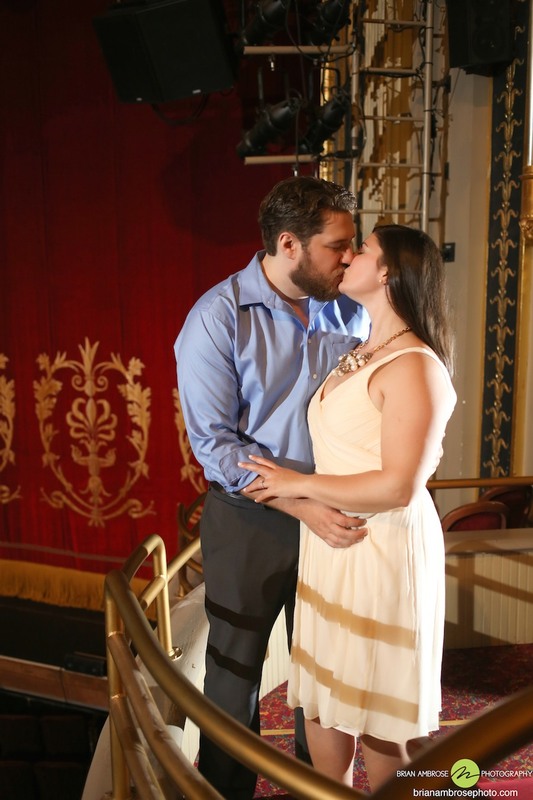 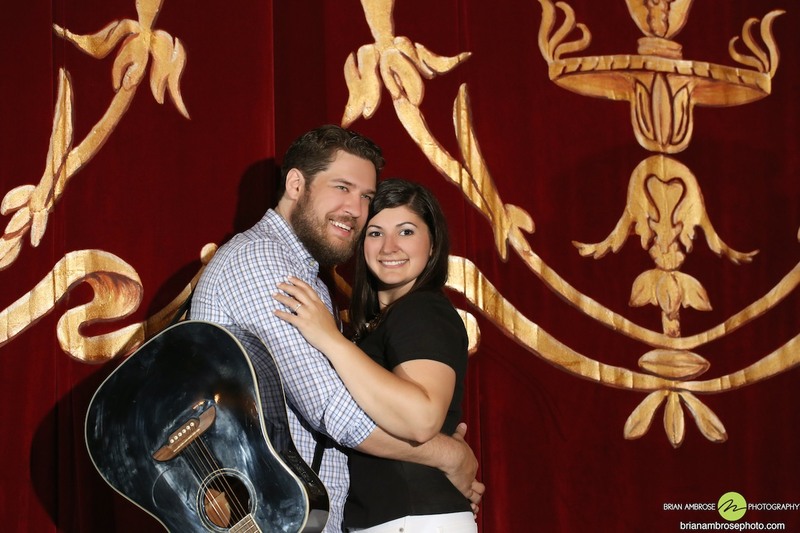 In honor of Sara & Jason’s wedding here is a bit of a throwback… to their Palace Theater Engagement Shoot! 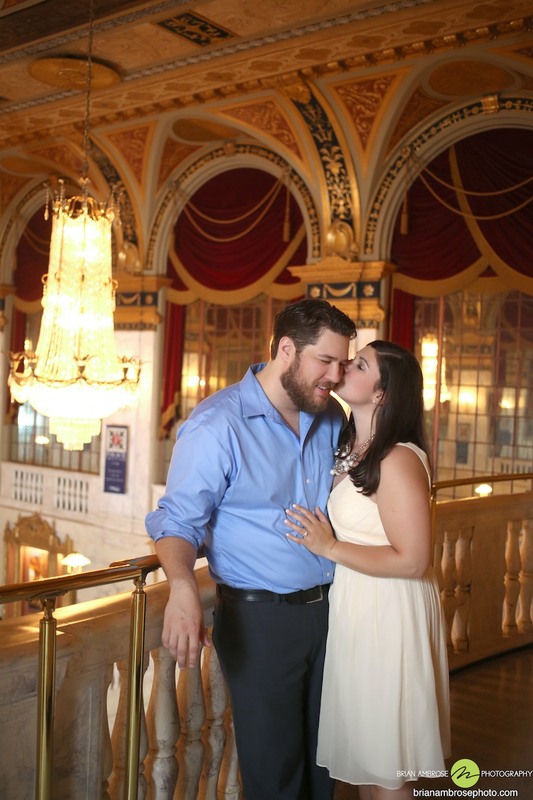 We met Sara a little while back when she was a bridesmaid in Laura & Andy’s wedding in New York! 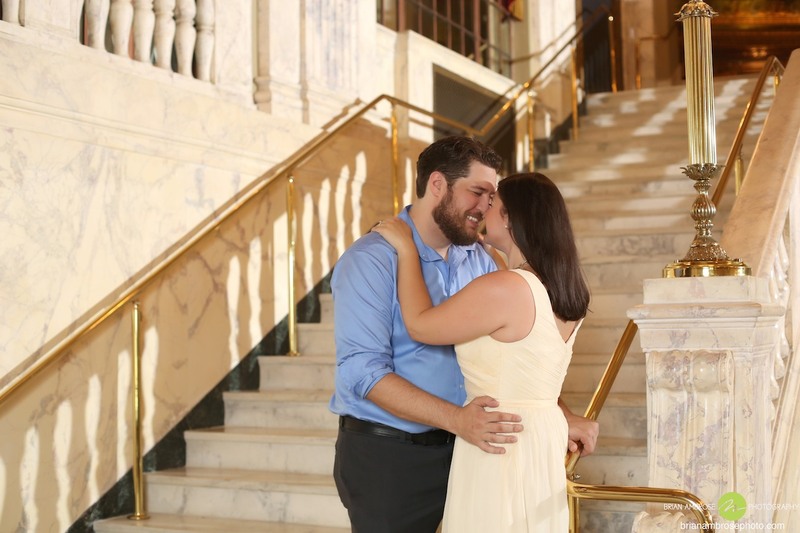 It was so exciting hear that she had kept us in mind for her special day! 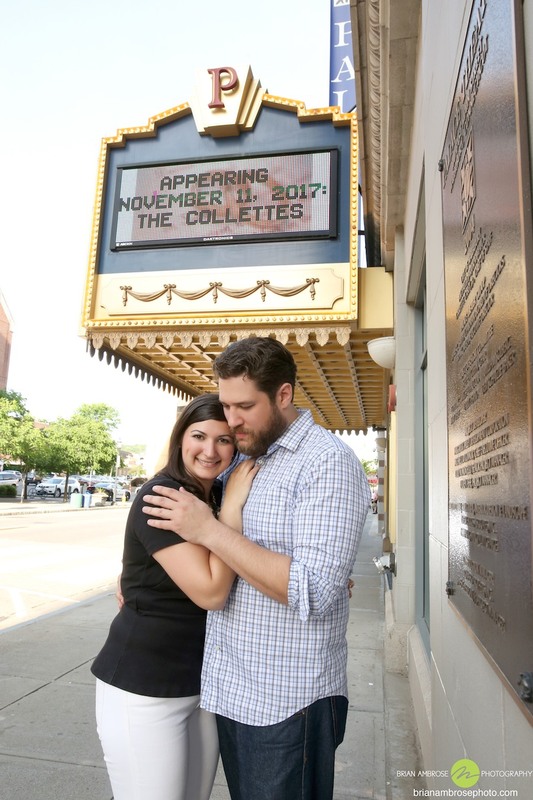 We are SO excited for their wedding this Saturday! 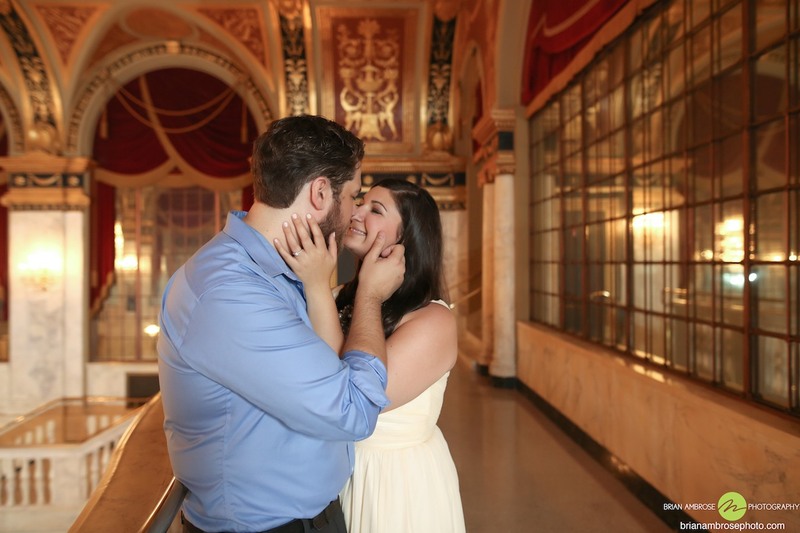 Part of the reason for that is how much fun we had with Sara as a bridesmaid. 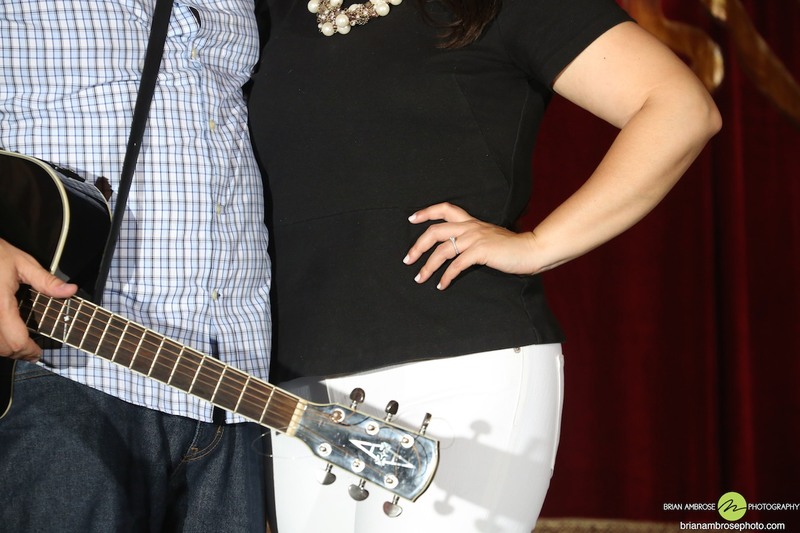 But most of all how much fun we had with both her and Jason at this photo shoot! 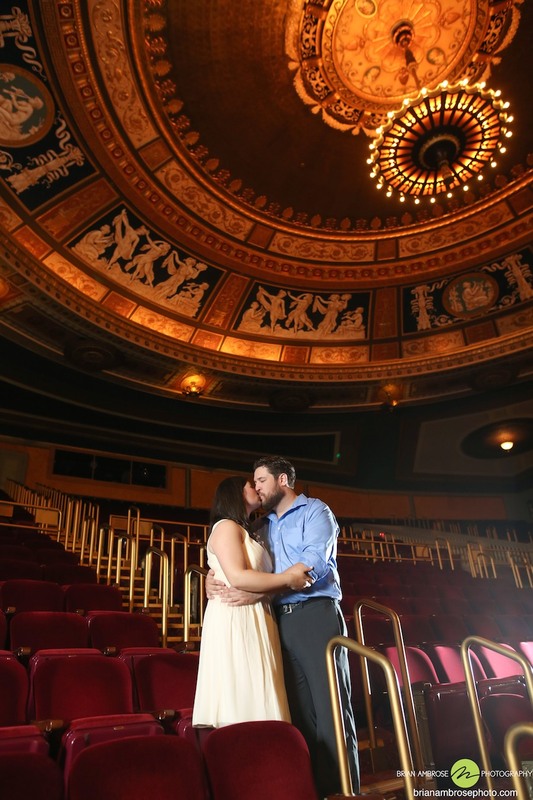 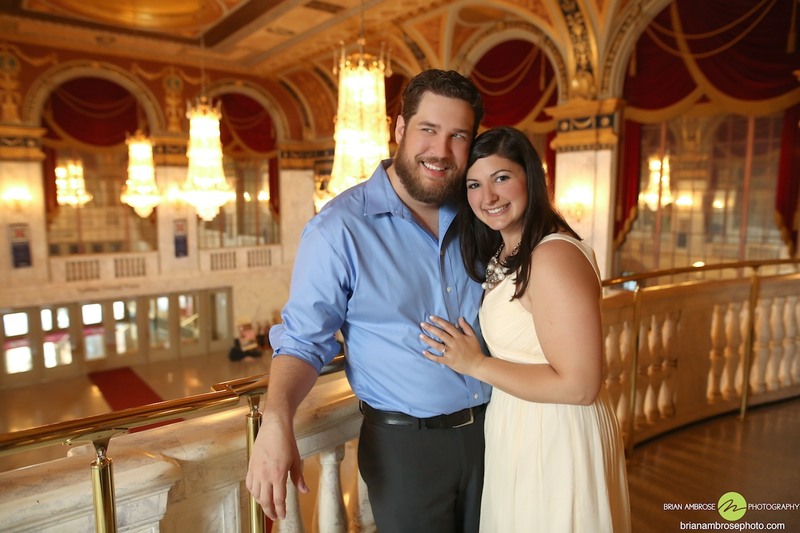 Thanks to some family connections we got full access of the Palace Theater for their Engagement Photos! 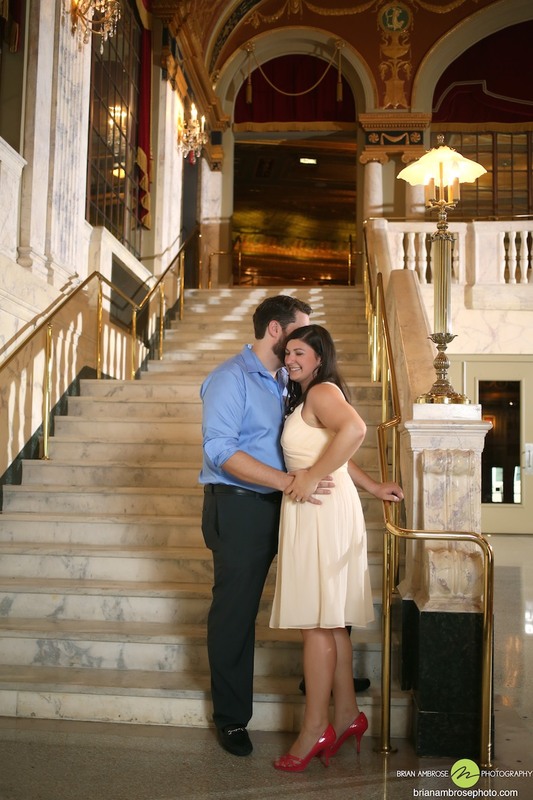 We started the shoot in the Grand Foyer. 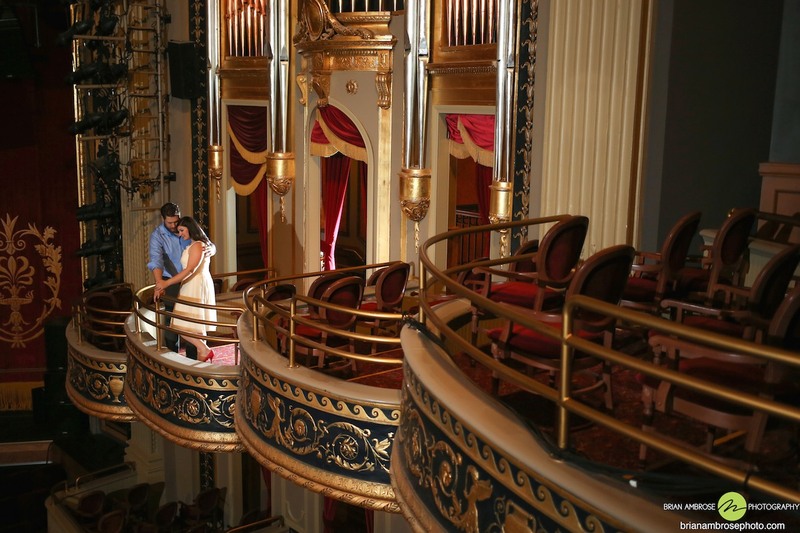 We captured some great expressions and some great shots of the stunning grandeur of that part of the theater. 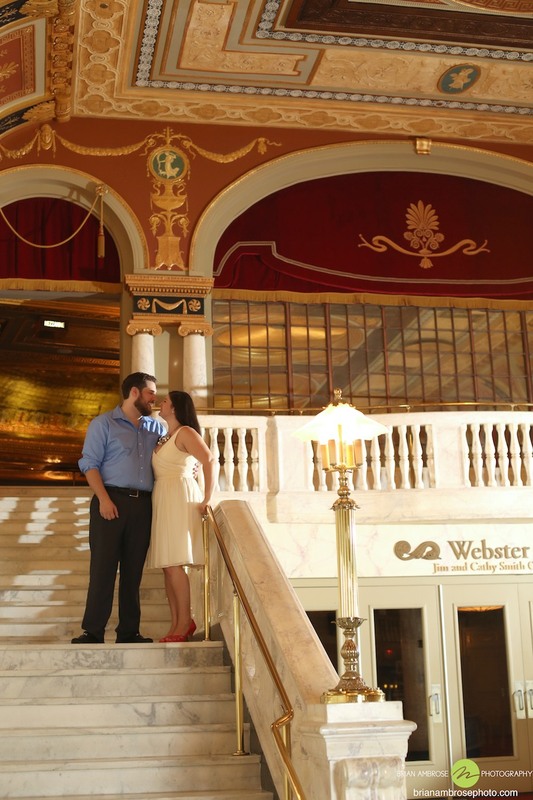 After that we went up into the Mezzanine of the Theater. 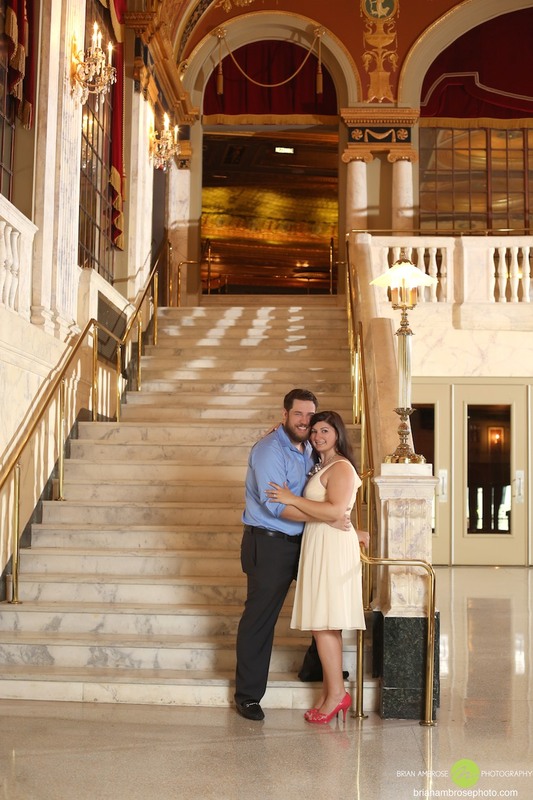 We did not this it could have gotten any better that the foyer. 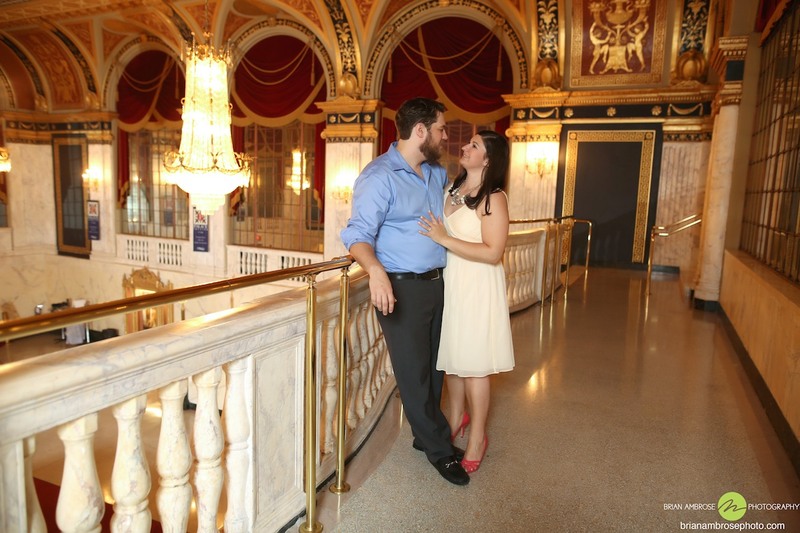 However, with more stunning scenery and Sara and Jason warming up in front of the camera those photos were even more beautiful! 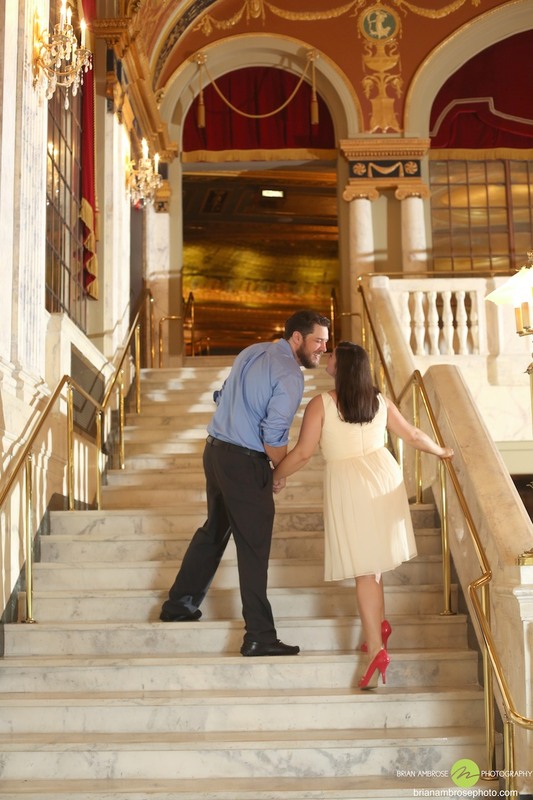 We then made our way downstair and on to the stage. 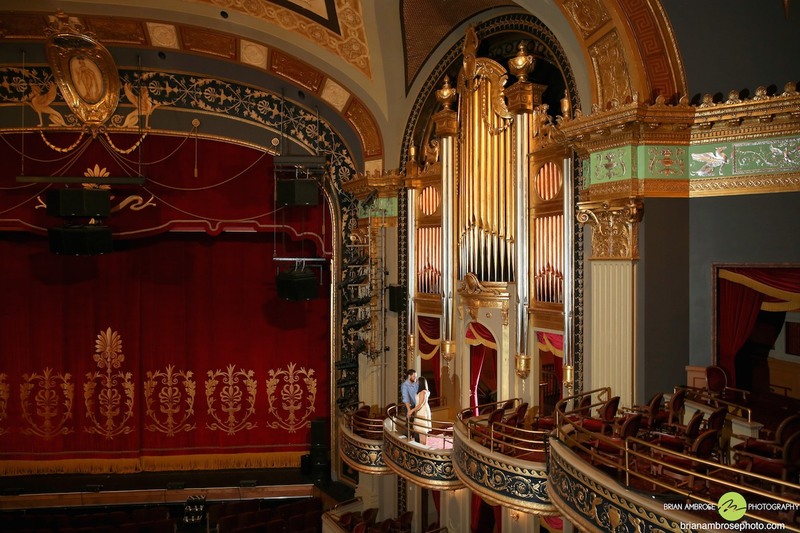 With us all having so much fun now we were able to capture some energy and excitement as well as the continued beauty of the Palace Theater. 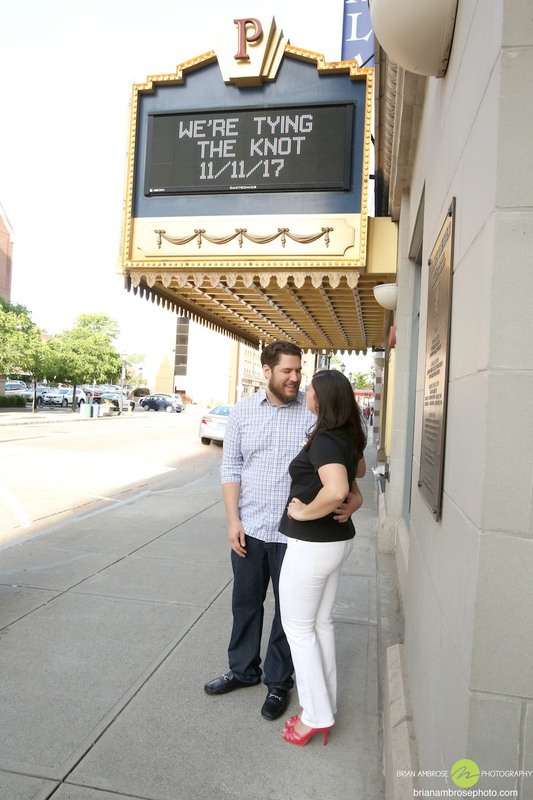 Last but not least out in front of the Marquee. 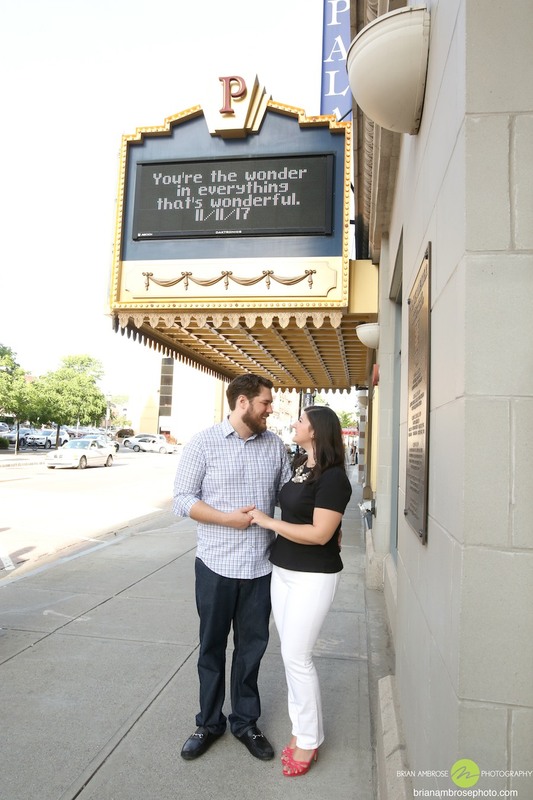 The Marquee was even lit up with a personal message for the soon to be bride and groom! 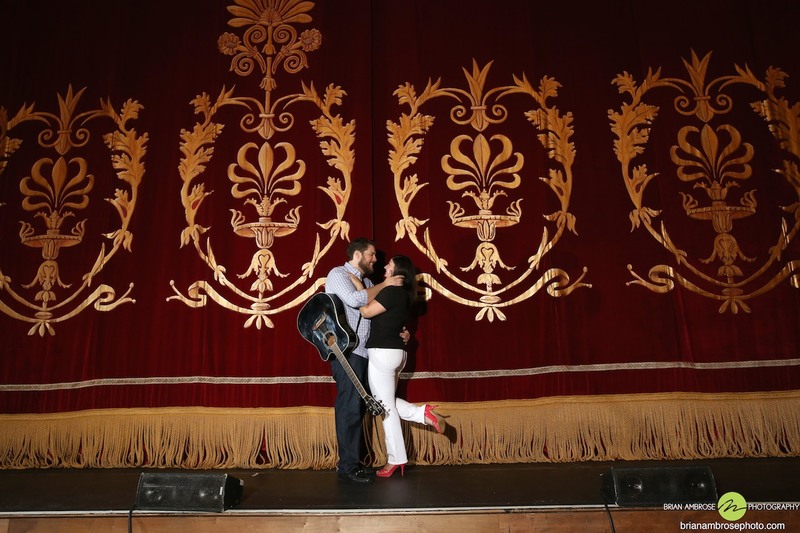 What a special touch for these photos! 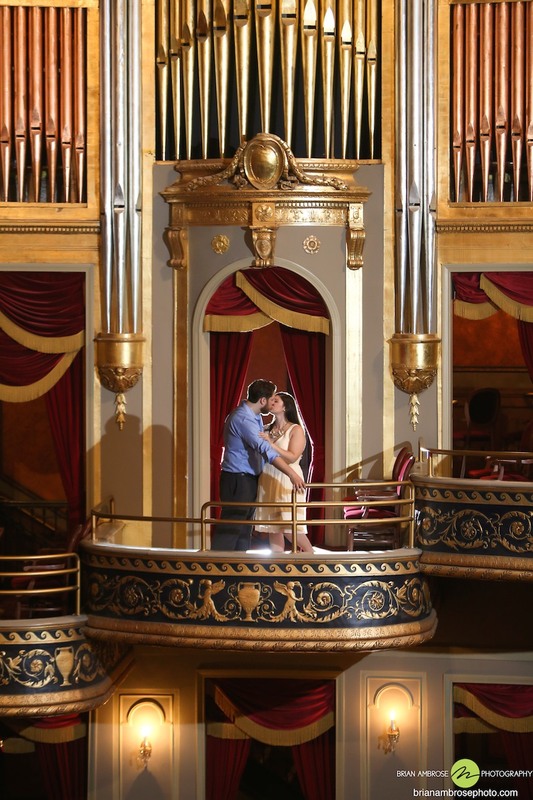 Everything from the stunning architecture of every part of the theater, to their outfits choices, to our theatric off camera lighting, and of course Sara & Jason was perfect! 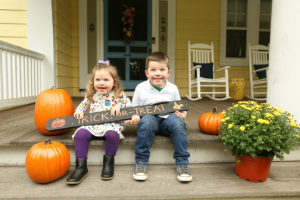 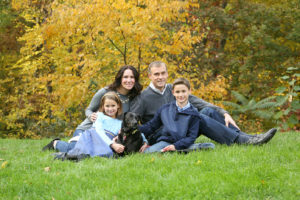 There was no lack of laughs, fun, jokes, cuddles, kisses, and just all around love that came from this adorable couple. 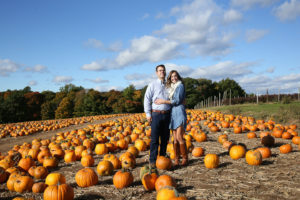 Boy does it show in these photos! 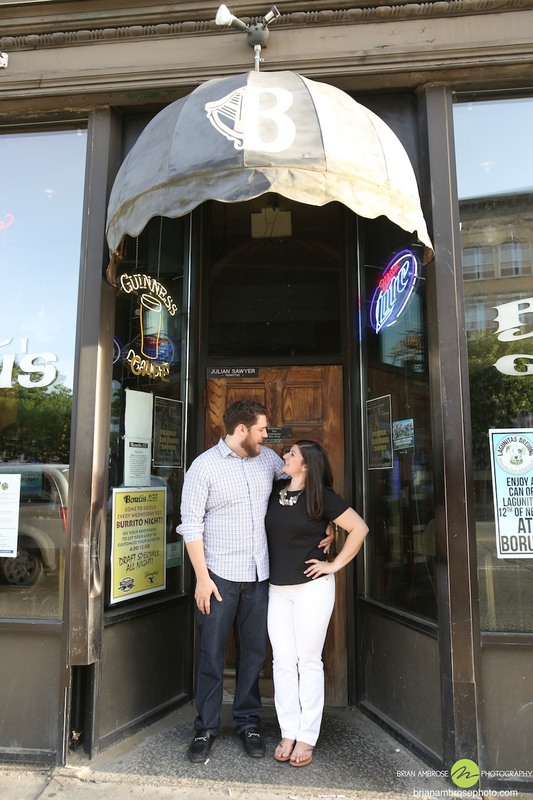 When the photos at the theater were done we had to follow Sara & Jason to their favorite place around the corner Boru’s Bar & Grille! 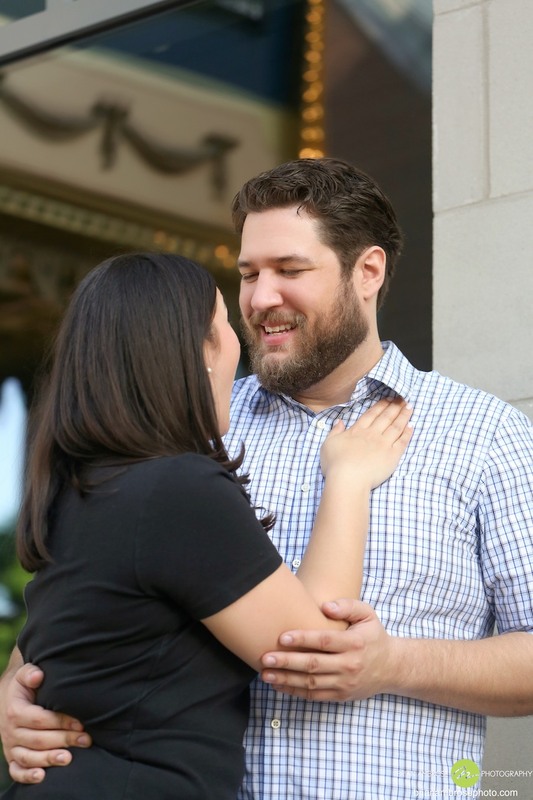 For a nice beverage to cheers the beautiful couple and to a great shoot! 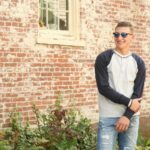 Want to Visit Some of the Places in These Photos?